Beverly Hills, CA August 22, 2013 – The Paley Center for Media today announced the full lineup of special guest panelists scheduled to appear for the upcoming 9th annual PaleyFestPreviews: Fall TV, which takes place at The Paley Center for Media in Beverly Hills September 6–13, 2013. Citi is the Official Card of the weeklong festival, featuring screenings of the most highly anticipated new shows of the fall season, and TV Guide Magazine returns for the sixth year as the festival’s media partner. Additionally, in Beverly Hills the festival will feature two special programs, a “Fall Farewell” salute to the SHOWTIME® drama Dexter®, on Thursday, September 12, featuring members of the cast & creative team for a screening and conversation; and a “Fall Flashback,” Reflections: China Beach 25 Years Later, featuring a reunion of the cast & creative team, on Friday, September 13. “TV fans will not only get a first-look at the new fall series, but they will have access to some of the most acclaimed and innovative actors, writers, and producers working in television today as part of this ultimate TV fan festival experience,” said Paley Center for Media President and CEO Pat Mitchell. “We are looking forward to hosting the extraordinary talent behind this season’s hottest new shows, and to giving fans the opportunity to say ‘farewell’ to modern day classic Dexter®, and ‘hello again’ to the groundbreaking China Beach.” Read the rest after the jump. The Paley Center’s New York location will host PaleyFestPreviews: Fall TV events featuring free public screenings from Noon to 8:00 pm ET on Saturday, September 7, and Noon to 6 pm ET on Sunday, September 8. Tickets to the 2013 PaleyFestPreviews: Fall TV events in New York must be reserved in advance. For further information on each of the programs in Los Angeles and New York please visit the Paley Center website: www.paleyfest.org. ABC Preview Panel & Live Stream featuring Trophy Wife. ABC Preview Panel & Live Stream featuring Back in The Game. All programs will begin at 7:00 pm PT and are open to the public, with the exception of the FOX program which will begin at 5:30 pm. 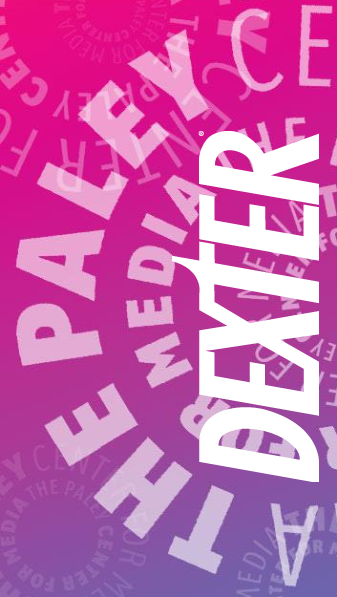 Tickets to the 2013 PaleyFestPreviews: Fall TV events, as well as to the “Fall Farewell”: Dexter® and “Fall Flashback: China Beach 25th Anniversary Reunion” are currently on sale. For ticket prices and further information on each of the programs please visit the Paley Center website: www.paleyfest.org. The Paley Center for Media seeks to preserve the past, illuminate the present, and envision the future through the lens of media. With the nation’s foremost public archive of television, radio, and Internet programming, the Paley Center produces programs and forums for the public, industry professionals, thought leaders, and the creative community to explore the evolving ways in which we create, consume, and share news and entertainment. In an era of unprecedented change, the Paley Center advances the understanding of media and its impact on our lives. The Paley Center for Media was founded in 1975 by William S. Paley, a pioneering innovator in the industry. For more information, please visit www.paleycenter.org.